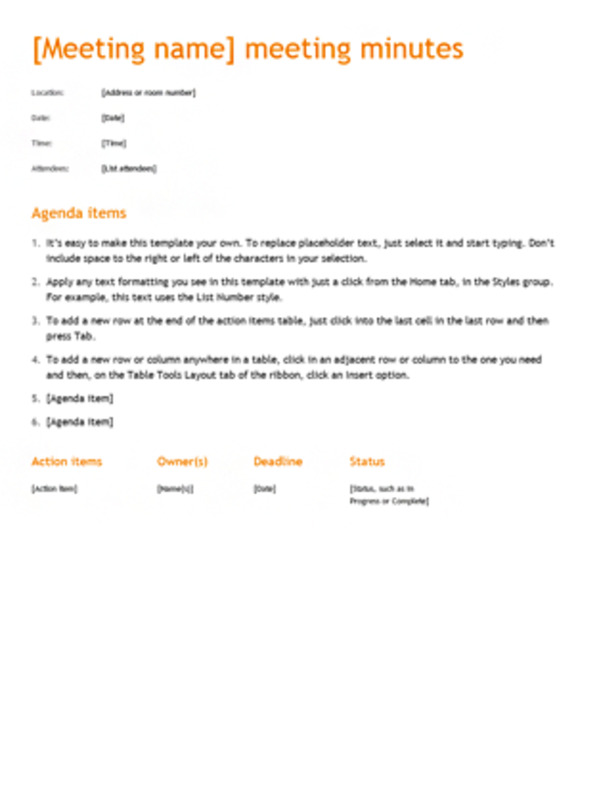 How to take meeting minutes? Believe it or not, that is a question that millions of workers from around the globe frequently ask themselves when they are in a meeting that regards to their workplace, as they do not know for sure if they are leaving something out when they record. 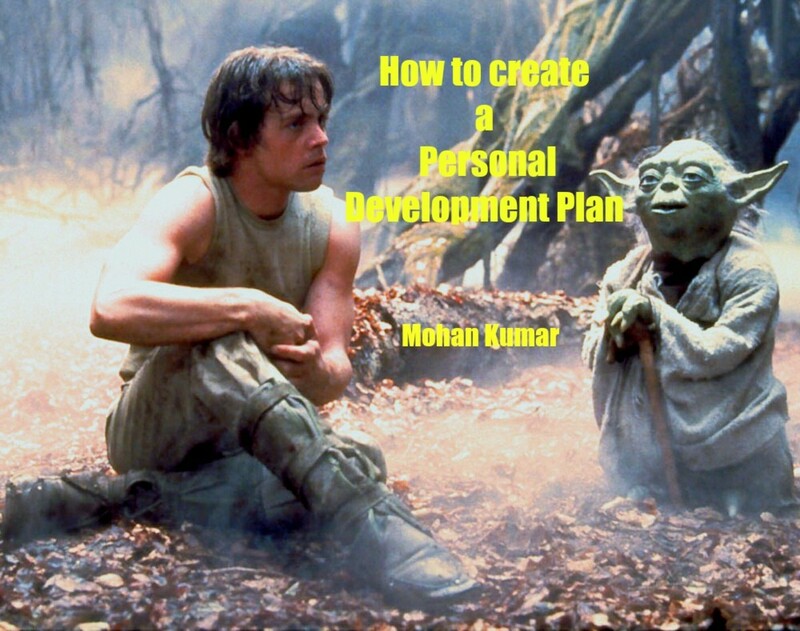 If that is your issue, you have come across the right article that will give you peace of mind, as we have undertaken the task of gathering the most important tips that one should know about in order to record the 411 of every meeting. There are indeed a handful of ways that one can take meeting minutes. The most vital thing to remember is that you have to make sure to record every important detail that is mentioned. 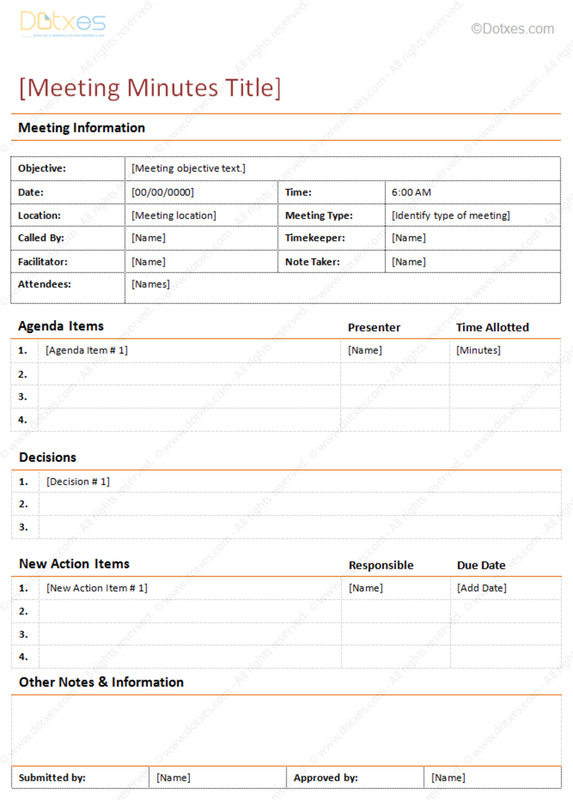 Meeting minutes help to monitor and record your activities and decisions and keep people informed. They truly can come in handy in different situations in a workplace. 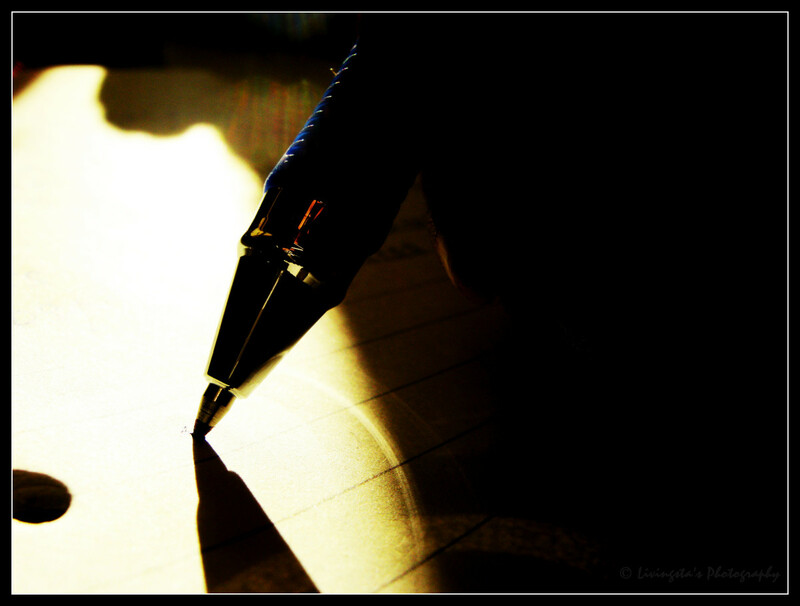 Minutes of meetings construct a historical record of the work of a group. They serve as a record of details and decisions when people disagree or when their memories fail, for whatever reason, to remember important details about a meeting. Let’s face it, we are humans, not robots; therefore, it is already in our nature to forget things, especially if we have a lot of things on our mind. Unless you are some superhuman, it is impossible to remember every word that has been said in a meeting; therefore, it is best to record everything. If you stop and think about it, it is always better to prevent than lament. Minutes of meetings provide future members of organizations a way to avoid reinventing the cycle and a way to build on past successes. Not only that, but they also help to inform those who couldn’t make it to the meeting, and they remind coworkers of assignments that they’ve taken on and deadlines that require attention. In addition to the information previously mentioned, they can be helpful in a handful of other ways. They very valuable and can make the job of an entire group much easier. They basically provide the 411 of everything that is occurring in a particular workplace. There are some workplaces that have groups that designate one individual to take the minutes at meetings, while there are other workplaces were this task is assigned to somebody new every time. In other words, they rotate the job. As long as the information gets recorded and it is preserved somewhere safe, one should do what’s best for the group. 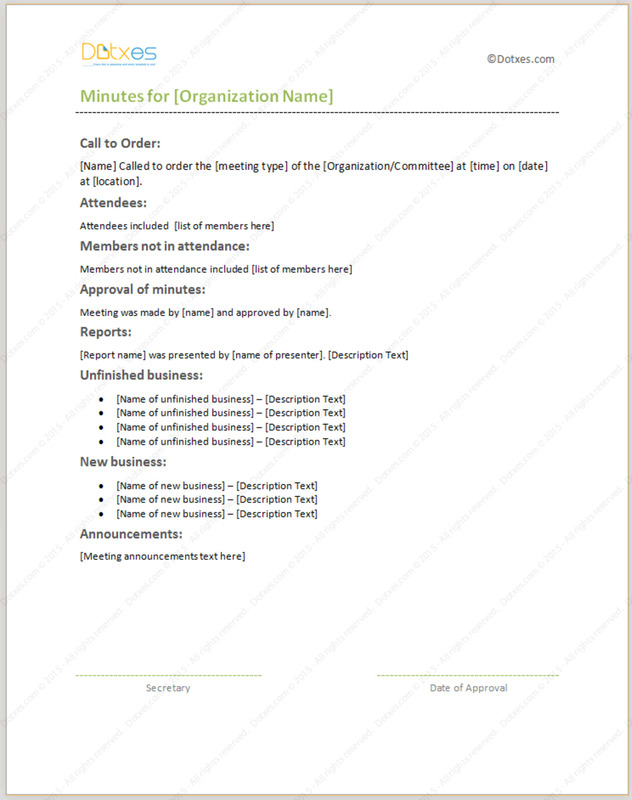 If they apply to your particular meeting and your group, the meeting minutes template for any kind meeting should include the date, time, and the place where the meeting took place. Not only that, but it should also include the list of people who attended, members who were absent, time the meeting was scheduled to begin, any approvals and amendments of previous meeting’s minutes, detailed summary of announcements, reports, and other information that was shared. Final disposition, summary of discussion, amendments, motions, resolutions, and proposals should also be stated. If one is utilized the formal parliamentary procedure, one should record who made the motion and the individual(s) who seconded it. 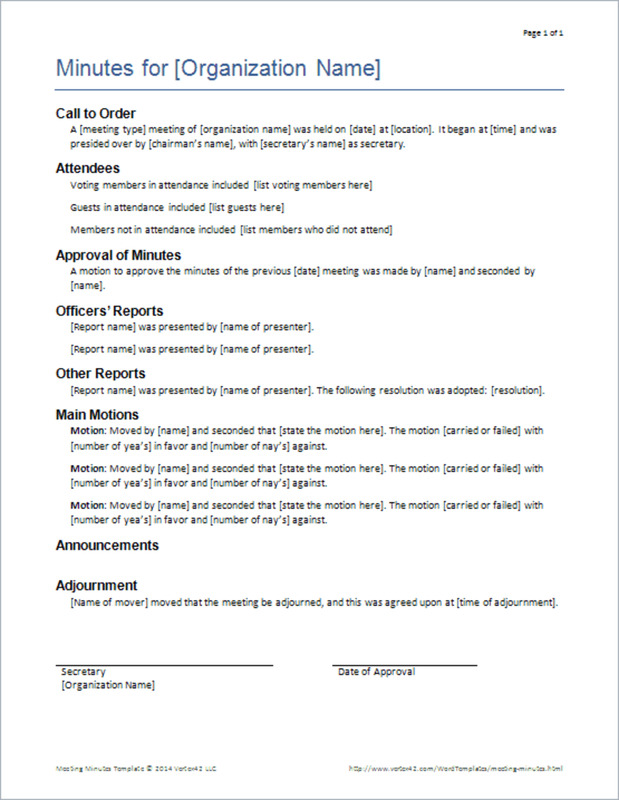 Last but not least, time of adjournment, next meeting date, time, and place, and the name of individuals taking the minutes should always be included. 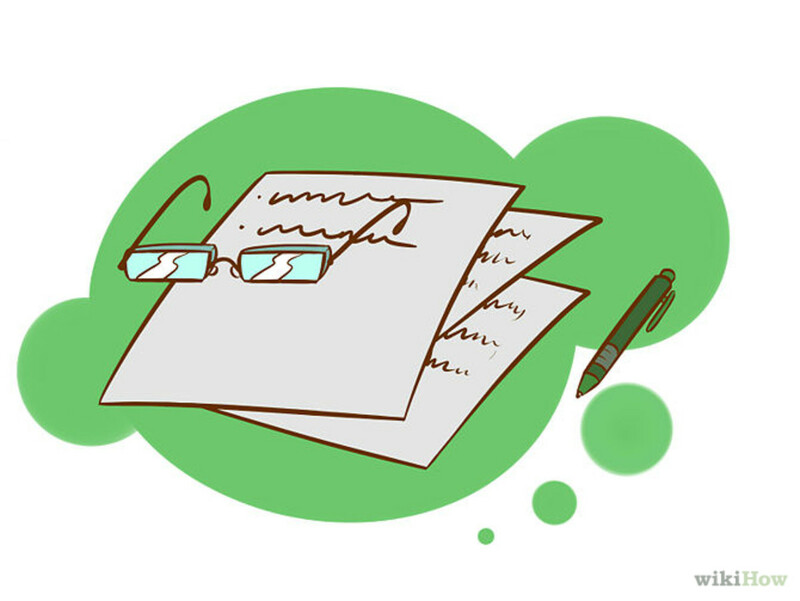 Resolutions and motions should be verbatim recorded and should be read back in the meeting just to make sure that they have been precisely transcribed. The decision that was reached, key points that were capturing, and the discussion as a whole should be summarized. When an individual in the group is going to take on a particular assignment, deadline has been set, or other important agreements were reached, they should be recorded, as well. Recording them will serve as a reminder when you read them later on. Never forget to separate facts from opinions. 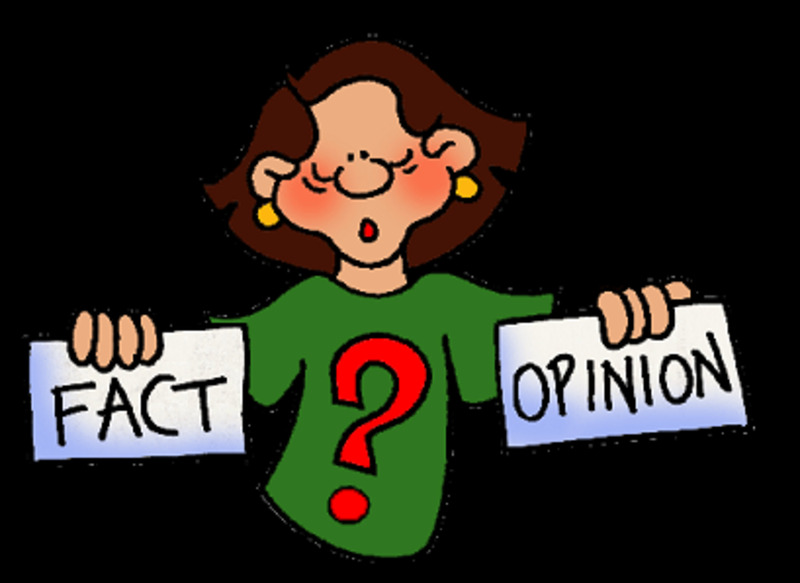 Let us just say it like it is: opinions are just personal views while facts are both indisputable and objective. Opinions should be attributed to their source (e.g. ‘Matthew suggested that… or ‘the group came to the conclusion that…’). There are many people who often record opinions and facts together; therefore, a great percentage of the information recorded tends to become very messy. Besides making sure to take note of every important detail that is being mentioned, it is extremely important to keep everything well-organized. If you follow the information we stated under ‘ideal template,’ you should be safe from dealing with any confusing matters while recording. 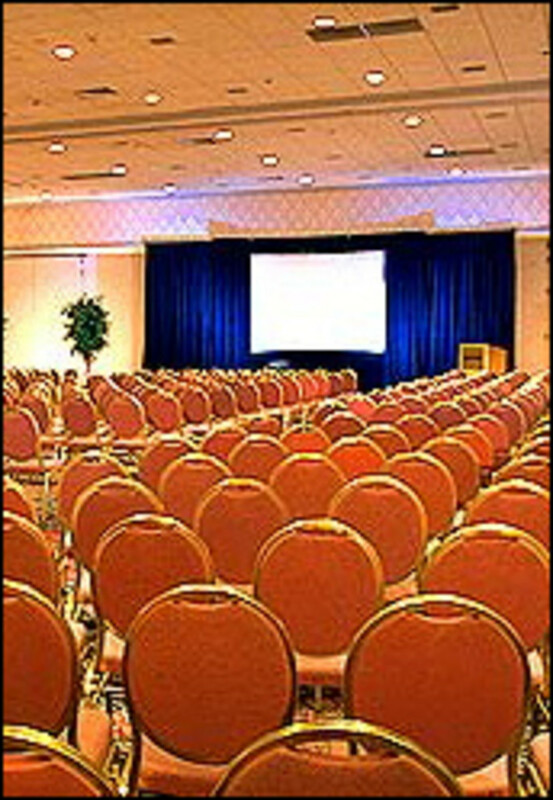 There are times when it can be very helpful to distribute the minutes before the following meeting. This provides one’s group a reminder of deadlines and assignments, as well as where and when the next meeting is. Near the start of the following meeting, distribute copies and read the minutes. 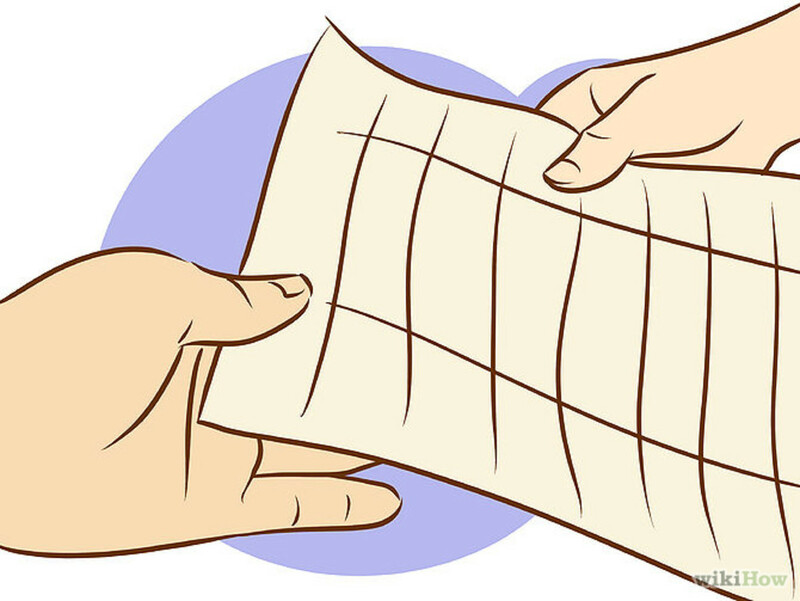 Any additions or corrections should be recorded in the minutes of that particular meeting before one’s group approves that they are complete and accurate, either as amended or as read. Of course, there are numerous of other things that one can record in a meeting. As much as one can record, the better it will be in the long run, as questions might arise in the workplace at any time that regard to different subjects that were covered in the meeting. As you can conclude, taking meeting minutes can truly be a piece of cake if you are well-prepared. If you take to heart all the tips that we have just finished stated, you can rest assured that you will on top of your game when it is time to start recording information in your workplace. 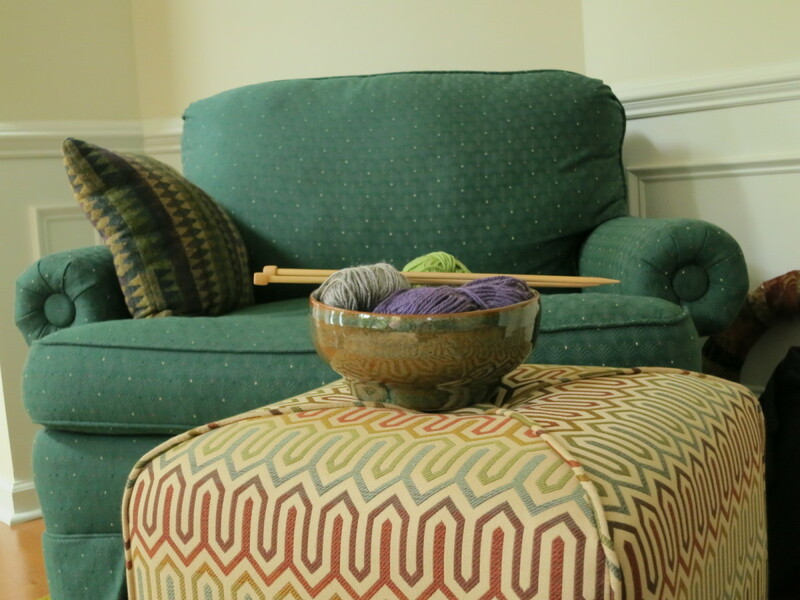 Don’t be skeptical about adding your signature touch to the mix in order for it to reflect your style. Whenever you have the opportunity of showing off your style, you should definitely take full advantage of it. Fact or Opinion? Do You Know The Difference? A great article on an important topic. Even minutes on one on one meetings are important.